I came across a newspaper clipping from the early 1900’s tucked neatly in the pages of my great grandmother’s “Table, Home and Health” cookbook. It was for several different bread recipes. They all sounded good, but the Soft Graham Bread caught my eye. 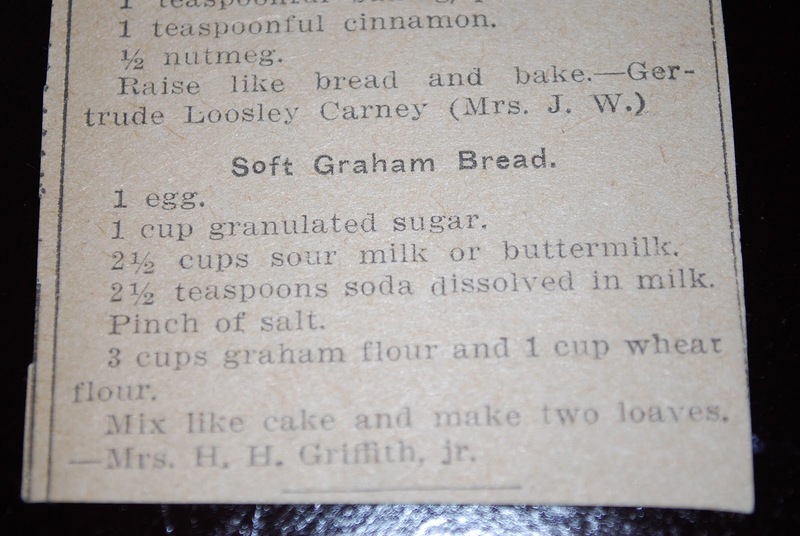 The ingredients are simple and I love graham flour. It was widely used back in the early 1900’s for many different recipes. It was one of the main flours milled back in that time period. This recipe was submitted from Mrs. H.H. Griffith, Jr. Most of the recipes I had to guess at a cooking temperature (since a lot of these old recipes don’t have one), so I used a moderate 350 degrees. 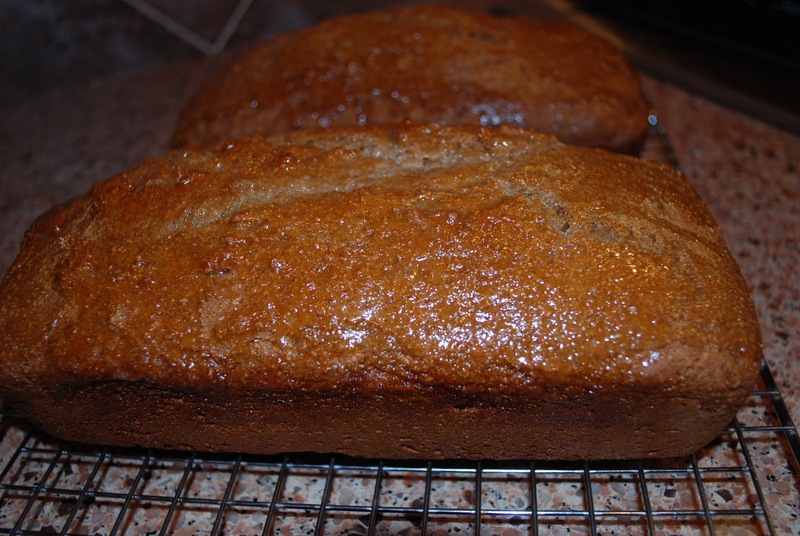 The result is lightly sweetened whole grain bread with a wonderful texture. No oil is used in this recipe. The fat comes from the milk used to make the bread. I didn’t have buttermilk on-hand, so I used 2 % milk with 1 tbsp vinegar per cup of milk. Let it sit for 5 minutes and you have a wonderful buttermilk substitute. I don’t recommend using anything lower fat than 2% milk in this recipe. Whole milk and regular buttermilk will work best for moisture. The whole family loved this bread, including my picky kids. Simple and delicious. 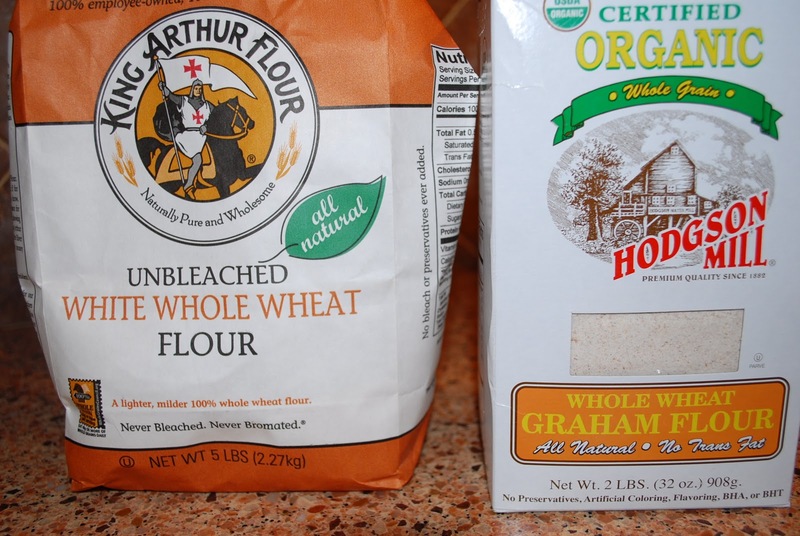 I used an organic graham flour and King Arthur white whole wheat flour. Blend egg and sugar. Mix flours and salt with a whisk until blended. Add flour mixture to sugar mixture and alternate with buttermilk until everything is added to mixer. Add baking soda mixed in milk. Mix until just combined. Pour into two greased loaf pans and bake at 350 degrees for 40-45 minutes or until a toothpick comes out clean. Butter tops of bread and cool. Slice and Serve with your favorite butter spread. Amee, I love the fact that this recipe doesn’t call for yeast. (I’m still a little intimidated by it; I’m afraid my water won’t be the right temperature, and who has time to wait for bread to rise? A very nice looking loaf of bread. Isn’t that cool that you found the old clipping with the recipe. Beth, I LOVE your additions and great ideas!!! Keep them coming, please. Feedback is wonderful. I love getting comments on my recipes:) Thank you for taking the time to post!